If you like the plugins kindly donate to support further development. Thanks. Fourier Transform-based FFT/IFFT 64-bit plugins now available. To expand the image below, please hover the mouse over the image and click on the button in the lower right corner. The image used in the proccessing shown below was downloaded from the Internet. 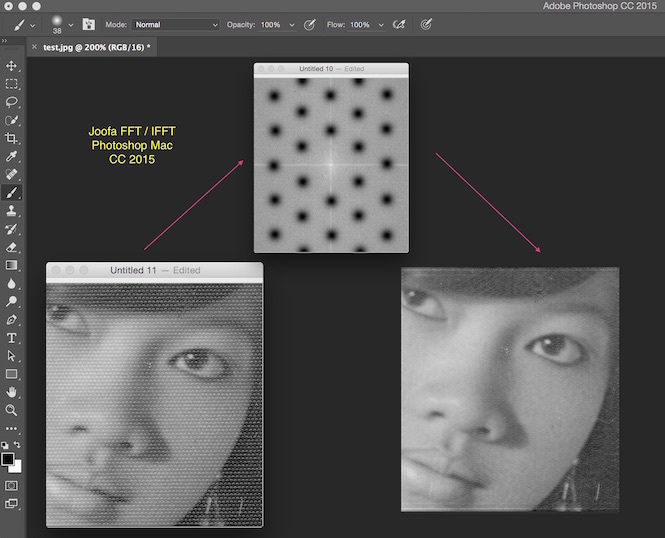 Load grayscale Raw data in Photoshop. RGBG planes may also be extracted in addition to Raw image. Mac OS 10.6.8; CS3 or PS Elements 8. 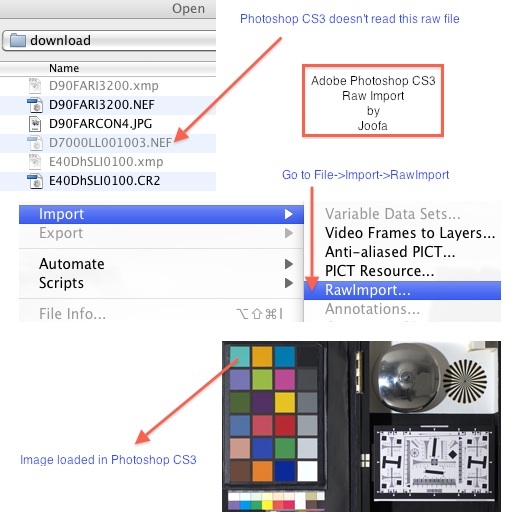 Option to deMosaic the data using a few basic tools.﻿ Helpful in loading those Raw files that the current version of Photoshop does not recognize yet. 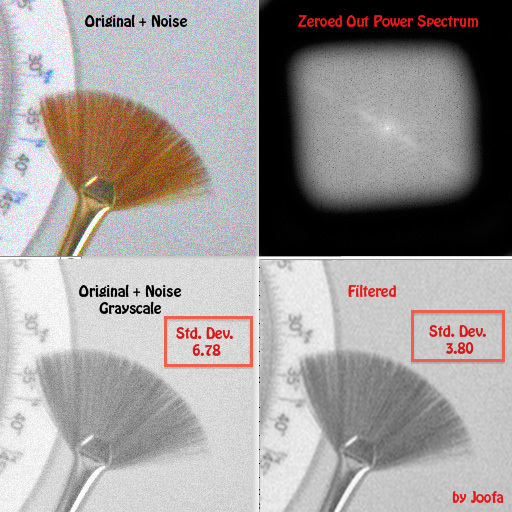 Takes an 8- or 16-bit RGB image and returns the Fourier magnitude in the "Red" channel, phase plot in the "Green" channel, and the luminosity information of the original image in the "Blue" channel. Mac OS 10,5.8, 10.6.8; CS3 or PS Elements 8. 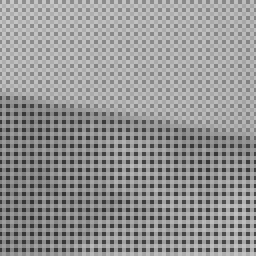 Takes an image rendered through Joofa FFT plugin and generates the spatial image. Lets one edit the Fourier magnitude using Photoshop tools. 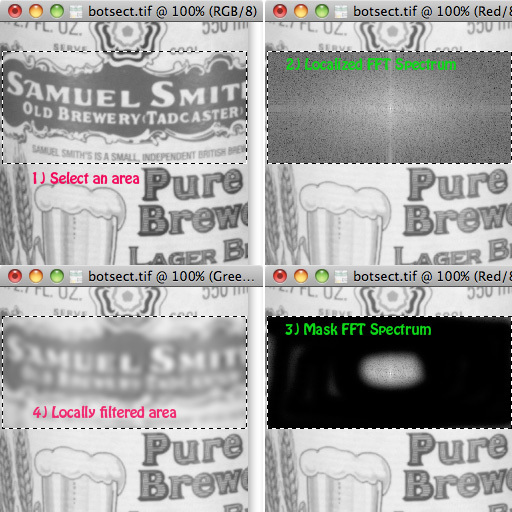 Useful for artificat removal, moire suppression, blurring, and other image processing tasks. Mac OS 10.5.8, 10.6.8; CS3 or PS Elements 8. 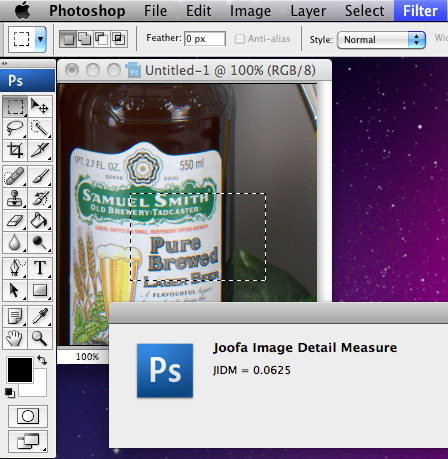 Provides a measure of detail over the whole image or a selection using Joofa Image Detail Measure (JIDM). Useful for measuring sharpness in different parts of an image. Returns a number from [0-1], where a higher value means more detail. 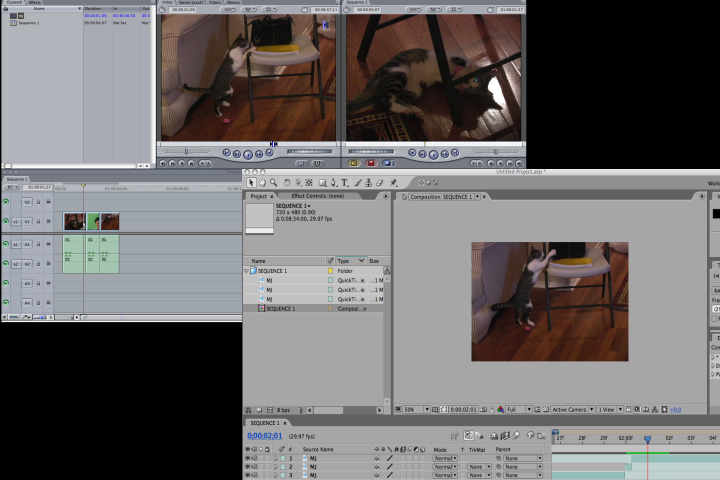 Inspects a CMX 3600 EDL and loads into After Effects. Useful for transferring footage between Apple Final Cut Pro and Adobe After Effects. Mac OS 10.6.8, CS3 only. Windows and Adobe CS5 versions coming soon!